Home › News! › Wild thing! We have some exciting “Wild” announcements to share with you! First of all we were very pleased and surprised to discover that our Wild Red Spread and Rare Red Rub are featured in the beautiful Edible Blue Ridge magazines’s Fall issue on their “Dig In!” page, suggestions for gifts for the holidays. As well, Wild Red Spread was included in Relay Foods November “Tasting Box”! We also wanted to put a little prrr… in your ear as you start to ruminate about what to give to your favorite gourmets this holiday season! As we enter into the season of celebration and food (which we’re all about) think about giving a little lynx love! We have a beautiful selection of gourmet gift boxes available. 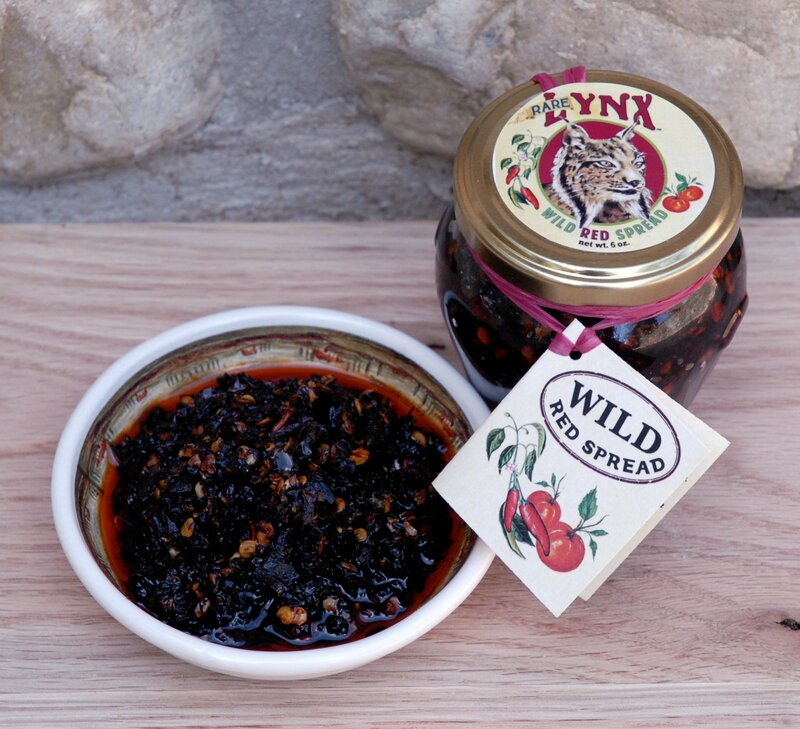 Consider the quintessential “Rare Lynx Epicurean Essential: the works box” to our “Simple Essential” or “Little Treasure” or “Salt” or “Spice” or of course the “Olive oil box”! If you don’t see the combination you want just let us know and we can put together a custom box just for you. Also dipping oils, spreads, rubs, and our beautiful Flor de Sal sea salt and Saffron Flor de Sal make very welcome and unique host gifts just on their own. We even have gift bags for a little special touch. Our online shop is very user friendly. If you are ordering online, please place your orders early, no later than December 15th, to guarantee delivery to your loved ones in time for the holidays. We will be officially closed as of December 18th. Please remember to support local producers as much as possible during this holiday season.